WILMINGTON, MA – OSRAM, a global high-tech lighting company, was honored at the recent Sapphire Awards Gala Dinner when its OPTOTRONIC® Programmable Emergency LED Driver was selected as the winner in the constant current LED drivers category. The Sapphire Awards celebrate the most innovative companies in the solid-state lighting (SSL) industry and honor enabling technologies and elegance-of-design in finished lighting products in the industry. The awards are held in conjunction with Strategies in Light, The LED Show, and Lightspace California in Long Beach, California, aboard the RMS Queen Mary. The OPTOTRONIC® Programmable Emergency LED Driver offers the ability to program and customize the light output in both normal and emergency operations. A separate snap-on battery pack with harness, available in linear and compact options, powers emergency lighting in the event of an outage and provides up to 18W in back-up mode. The complete solution reduces the number of components required per emergency luminaire, substantially simplifies in-fixture wiring, and enables OEMs to better tailor their fixtures to application requirements while reducing the number of SKUs they must inventory. In total, 88 companies working across the LED and solid-state lighting sectors nominated more than 100 products to be considered for the Sapphire Awards. Sapphire Awards judges ultimately considered products across 20 technology categories that covered the spectrum of lighting applications. During the Gala, the best of the best took home the Sapphire trophies after the late-night celebration. Learn more about the awards at www.ledsmagazine.com/sapphireawards. 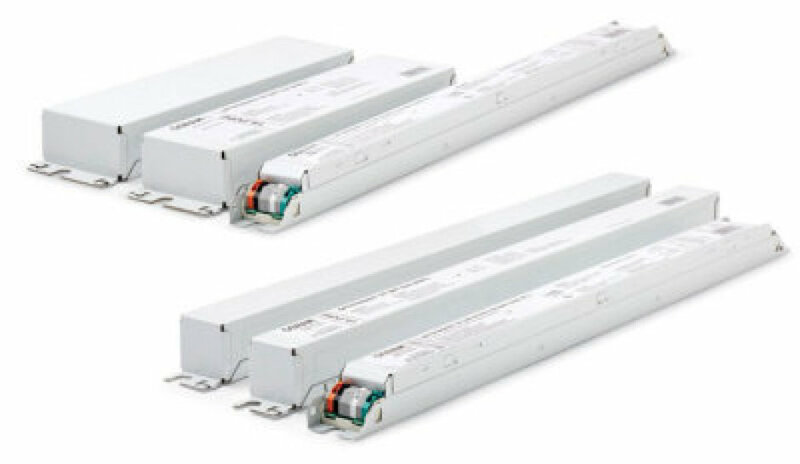 The OPTOTRONIC® family of LED power supplies features a complete portfolio of constant current, constant voltage, and multiple output power supplies in a variety of standard and custom electrical configurations and form factors to suit a wide variety of application and system requirements. The OPTOTRONIC Programmable Emergency LED Driver is available to specify in the Americas Region, and more information can be found at www.osram.us/EMDrivers.